Dhanush and Kajol's much-awaited film Velaiilla Pattadhari 2 (VIP 2) finally releases this Friday (August 11). VIP 2, which has also been dubbed in Tamil and Hindi, will hit the screens on August 18, tweeted Dhanush. "#VIP2 Hindi and Telugu versions will be releasing on #August18. Looking forward 4 d reaction of Telugu nd Hindi audience. Both "U" certificate," wrote the 34-year-old actor. The film will be called Lalkar in Hindi as the makers of VIP 2 wanted the title to be pan-India. VIP 2 is directed by Soundarya, daughter of superstar Rajinikanth and is also Dhanush's sister-in-law. Here's what Dhanush tweeted about the film's release. 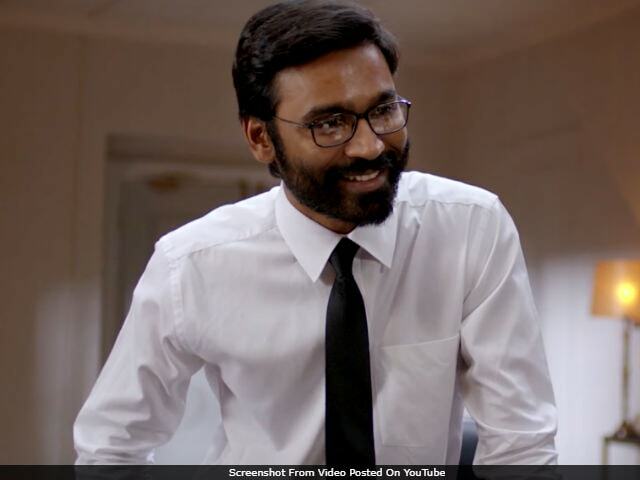 Of naming VIP 2 as Lalkar in Hindi, Soundarya earlier told news agency IANS, "It was a strategic move to make sure the film reaches across all states. With Kajol and Dhanush coming together in a movie for the first time, the title has to connect with the masses. Both the actors have a huge fan base in the North, so we thought of leveraging it thereby keeping a more relatable and easy name for the audience." Dhanush plays an engineer Raghuvaran opposite a villainous entrepreneur Vasundhara. VIP 2 was earlier scheduled for a July release, on Dhanush's birthday. However, the date was shifted later to August. The release date was announced a week ago with the new teaser of the film. VIP 2 is a sequel to Dhanush's 2014 film Velaiilla Pattadhari and marks Soundarya's second film as a director. The film also stars Amala Paul and is produced by Dhanush's Wunderbar Films.